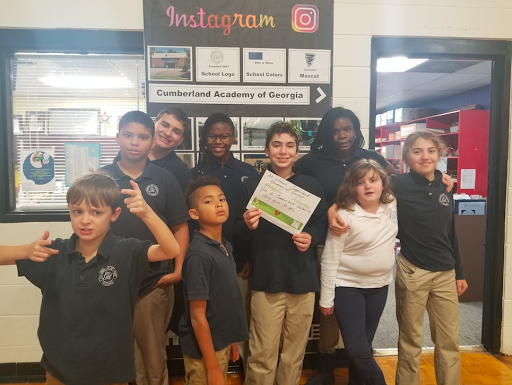 Atlanta-based special needs school, Cumberland Academy of Georgia, will partake in Georgia Gives Day, a statewide fundraising initiative, on November 27, 2018. Cumberland Academy of Georgia, a school for students with special needs located in Atlanta, Georgia, will participate in Georgia Gives Day on Giving Tuesday, November 27, 2018. Georgia Gives Day is an annual statewide fundraising initiative day where nonprofits raise awareness about their causes and elicit donations from the community. During the month of November, students of Cumberland are participating in an UNselfie contest thrown by Georgia Gives. Students post selfies of themselves holding up messages of why the community should donate to their school. The purpose of this contest is to garner excitement about donating on #GivingTuesday. The Cumberland students are enthusiastic about both the contest and the day itself. This is the fifth year Cumberland Academy has participated in Georgia Gives Day, and the school hopes the outcome can be even better than last year. To donate on November 27th, please visit https://cumberlandacademy.org/support/donate/. Cumberland is grateful to all donors and thanks the community in advance for donating to the school.